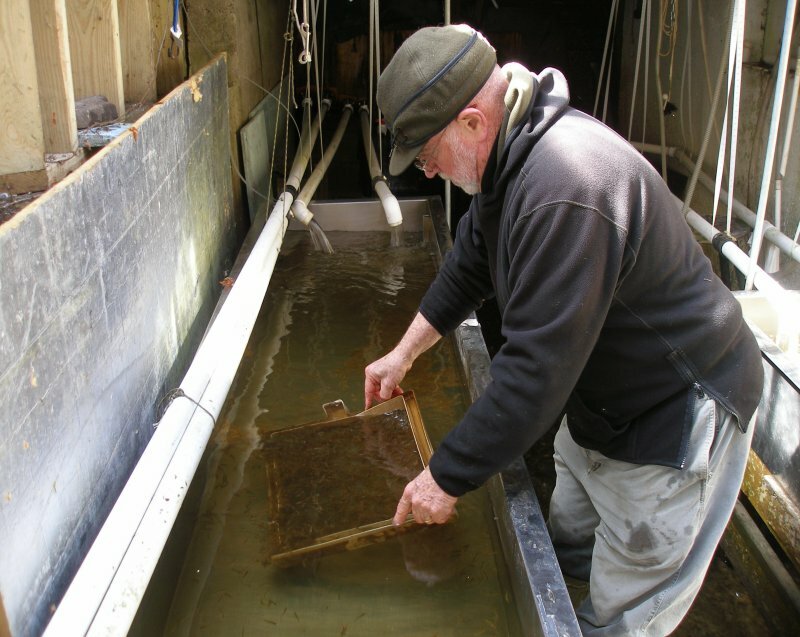 On Saturday, April 25, 2015 club members met at the hatchery to move the Atlantic Salmon fry from the incubators in the Hatch-house to the fish hatchery. The hatchery needed some cleaning as high water had left sediment in the tanks. When that was done we got water flowing again through the tanks. Club members also picked up the area around the hatchery and we got several bags of trash to dispose of. Moving the fish was straight forward. Large plastic boxes were placed in the bed of a pick-up truck and water was added. Then the trays containing the fry were placed in the plastic boxes. 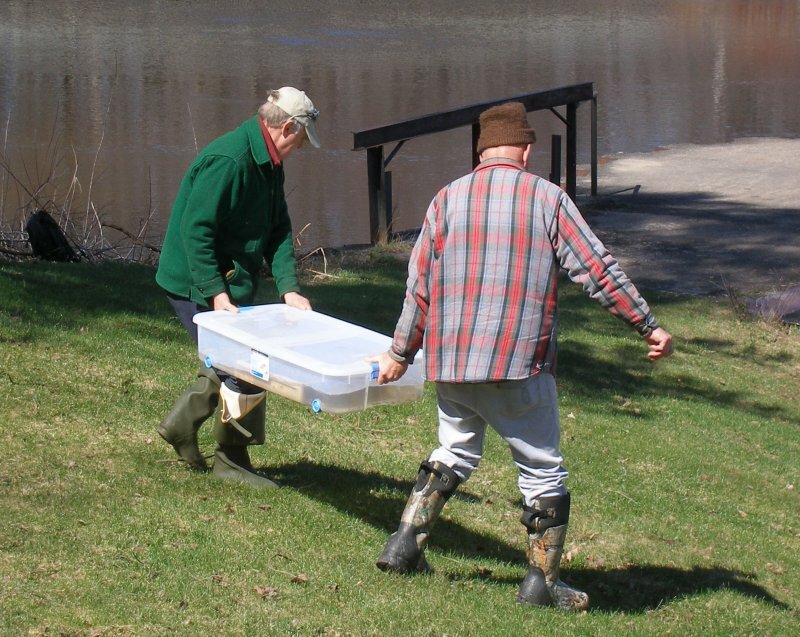 Three trays were taken at a time to the hatchery to the other side of the river. The plastic boxes were then carried to the hatchery, the trays removed and placed in the water in the hatching tanks. The screen on the trays were removed and the fry gently released in the water. This tank had a couple of inches of silt in it. The others were not so bad. Ted is shown here using a shovel to scoop out the mud. The tank over flow pipe was removed and the water was allowed to flush out the tank. 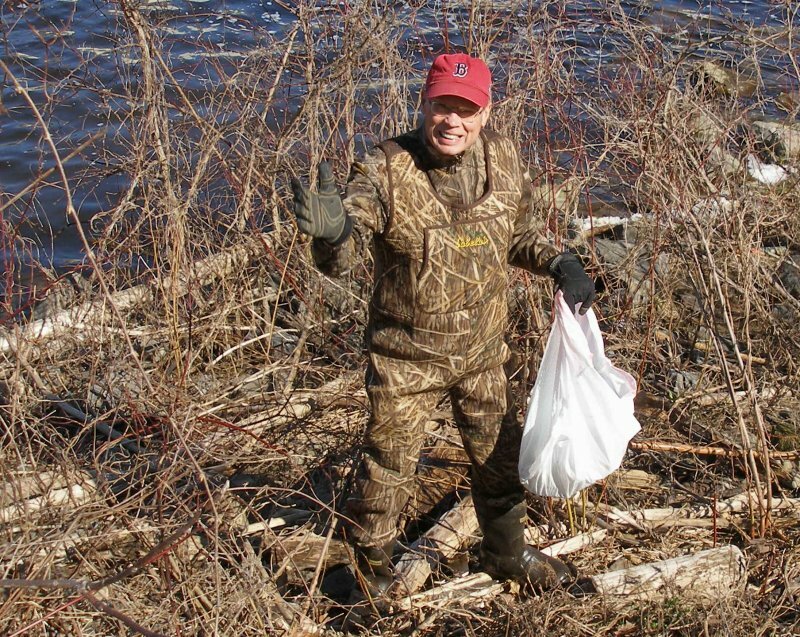 Jim Morris volunteered to pick up trash that had accumulated below the site of the hatchery. Two other members helped as well. The trays from the incubator were removed and placed in water in these plastic boxes. It made handling the fry quite easy. Paul is shown placing the trays in the tanks, the screens were removed and the fish gently placed in the water. 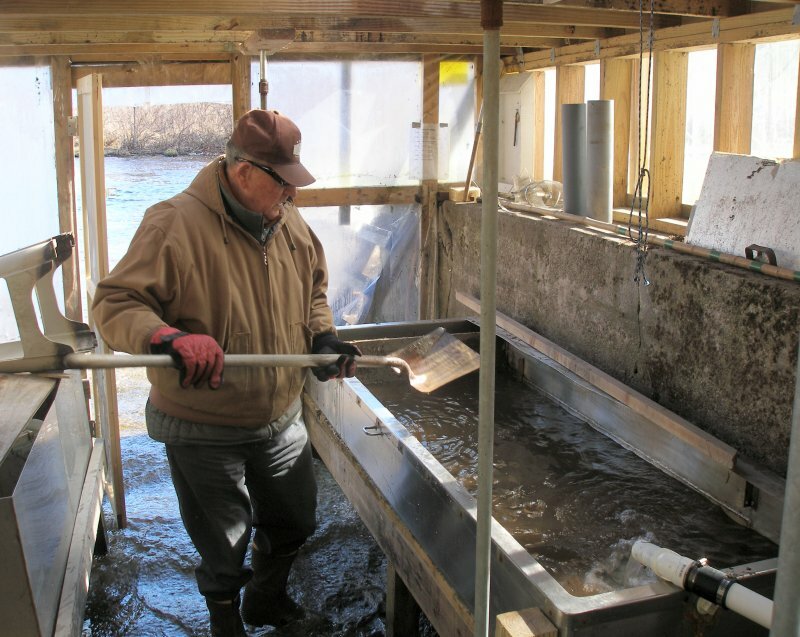 In all about 40,000 Atlantic salmon fry were moved to three tanks in the hatchery.